Horror only caught my attention when I made two radical discoveries; discovering Markiplier’s “The Witch’s House” playthrough and the reddit /nosleep board. These tales did catch my interest, resounding with a challenge to try to top it with my own. More or less I had come up with a certain set of characters for what was supposed to be a historical adventure. I drew a lot of inspiration from some of my classmates and had them setup, but was left stumped with what to do with the characters in terms of story. A romance novel even crossed my mind (you can imagine me trying to throw that together). But after me combing through “local lore” and finding out about happenings at a particular location, I knew I had hit the jackpot. The place in question had a very simple story, but there were tons of people who had come up, claiming much scarier things and lot of hearsay. I saw this as an opportunity; what if I mixed all of these together to make one larger horror tale? Many of the comments of “I was there and saw this” were quite intriguing despite possibly not having happened. 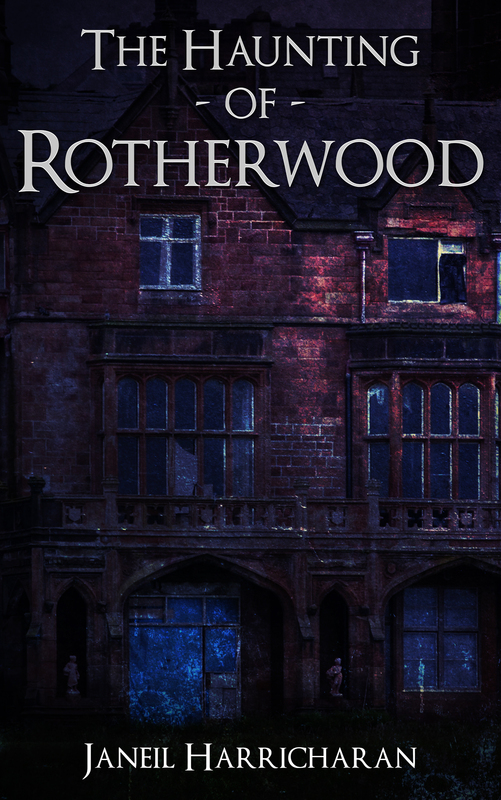 The Haunting of Rotherwood was part of my NaNo entry in 2014. Topping at 23k of words, this was my first full-length horror piece that was composed during the demanding deadlines of the event month, later edited out to be a concise story. It’s one of the few pieces that emerge from NaNoWriMo that I am pleased with and I consider publish-quality work. The Haunting of Rotherwood was completed in May 2015 and released onto Amazon and other retail markets in March 2016.